This Food Network Blue 2-pc. 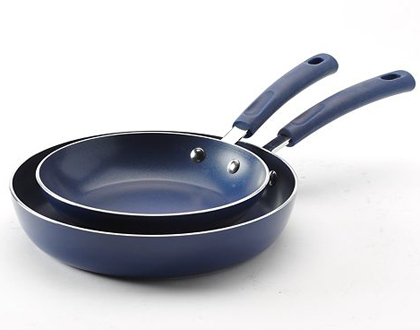 Nonstick Aluminum Colored Skillet Set adds a fun, vibrant touch to your cookware collection. $49.99 Sale $29.99. Buy here.